Younes Kaboul can't wait to meet his new team-mates after completing his transfer from Tottenham to Sunderland. The 29-year-old France international, who has inked a four-year deal at the Stadium of Light, will join up with the rest of the Black Cats squad in Canada. 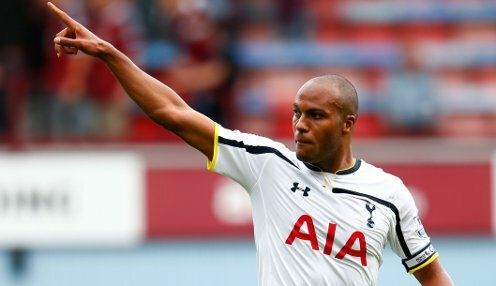 Kaboul rejoined Spurs in January 2010 for £5million from Portsmouth and went on to feature in 89 Premier League matches for the club during his second spell at White Hart Lane. I can't wait to join them. In his initial time at the club Kaboul made 21 Premier League appearances for Spurs in the 2007/08 season before joining Pompey seven years ago. Sunderland have paid £3million to secure Kaboul's services after missing out on Belgium international Nicolas Lombaerts. "I can't wait to join them," said Kaboul. "I only started training last Monday. I've been doing some bits and pieces, so from now on I'm fully focused on the team. I hope I will settle very quickly with the lads and kick on straightaway. "Everything went very quick, but at the end I'm very happy to be here. It's a great chance and good opportunity to come and play for Sunderland." The Black Cats are 1/1 to be relegated this season, while they can be backed at 1/1 to finish in the bottom half of the Premier League.